San Diego Downtown is a growing urban metropolitan area with a spectacular bayside location, panoramic views and dramatic vistas towards the Coronado Islands, the Coronado Bridge, to the Pacific Ocean and beyond. It is home to major league baseball, the San Diego Convention Center, the Balboa Theater and exciting and thriving neighborhoods. Key features of downtown amenities include great dining, entertainment and cultural venues, and a booming tourism industry, along with a growing base of people who have discovered the exciting opportunities throughout downtown for living in this relatively new, clean and safe urban core. Residential developments took off in 2000 – 2007 until the US was hit by one of the hardest recessions of all time. Real Estate development ceased to exist in downtown with the last 2 new condo buildings being finished in 2009 – Bayside and Breeza. Both of these fantastic bay front developments struggled to sell with the declining prices of 2009 – 2012. Now, the market has recovered and the signs of economic growth are tremendous. New apartment buildings, hotels and even federal and state courthouses are all being added to the skyline. New condo construction has once again begun and existing condos range in price from $250,000 up to $9,000,000. Currently home to more than 32,000 residents, the population could grow to over 90,000 residents by 2030. People from all over southern California, the entire country and the world flock to San Diego for the exceptional weather and wonderful quality of life in this fantastic bayside community. Looking ahead toward future development is a very exciting component for Downtown San Diego; priority projects, lifestyle amenities, parks and open space, and a mile-long revitalization of the western waterfront are all part of the master-plan. The planned redevelopment calls for more than 50 acres of new parks and plazas to link residential areas, parks, neighborhood centers, and shopping promenades. Residential condos for sale in downtown San Diego have become quite a popular living option for young professionals, the baby boomers who are now empty nesters and even for some forward thinking families with children. There are many different living options which include high-rise condos, townhomes, single family homes, lofts and live-work retail spaces. San Diego neighborhoods offer a vibrant, relaxed, convenient urban atmosphere, with something for every lifestyle. Downtown has undergone billions of dollars of new residential, commercial and public-infrastructure development in the past decade and the western waterfront along Harbor Drive has been completely transformed by the North Embarcadero Visionary Plan. Downtown neighborhoods include The Marina District, Gaslamp Quarter, East Village, Little Italy, Columbia District, and the Core District. 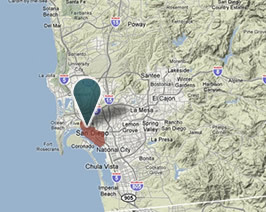 Condos for sale in Downtown San Diego can be found in each one of these distinct neighborhoods. The overall culture of each neighborhood is unique and the quality of residential properties for sale vary greatly. 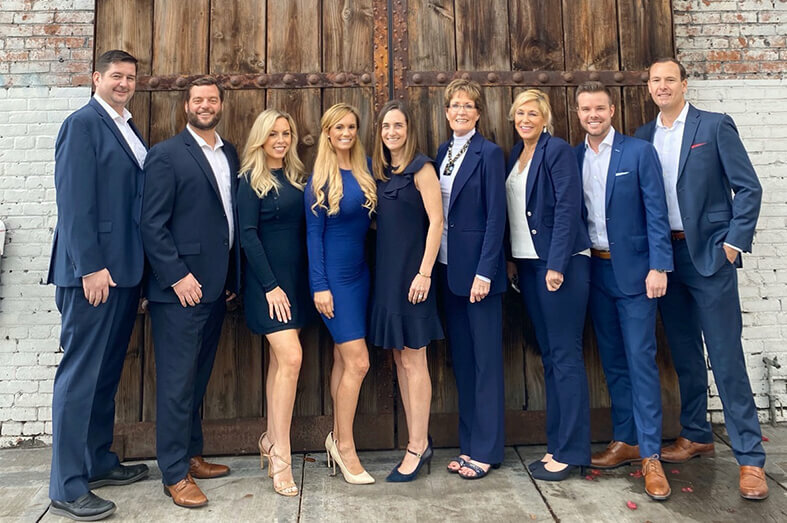 Dannecker & Associates and WelcomeToSanDiego.com features condos for sale in Downtown San Diego by neighborhood, by building complex, or by just searching all properties by features. To discuss your ideas about purchasing a new condo, give us a call 619-356-3099 or send us a message.